So, you've just found out you are relocating to Cleveland Ohio. Like most people in your situation, you are probably going through a wide range of emotions. You are also beginning to realize how much work you have to do to prepare for your big move. This guide was designed to help alleviate the stress that comes with relocating and to provide sound advice. WHY ARE WE PROVIDING THIS GUIDE? We personally relocated to Cleveland almost 15 years ago and know exactly what you are going through. We understand how stressful moving to a new city can be, especially if you don't know a lot of people, and we wanted to provide some help and friendly advice. So, take a deep breath, try to relax and let us help you put together a successful game plan so you can have a smooth transition when relocating to your new home, Cleveland, Ohio. First things first, since you are moving to Cleveland, you should learn a little bit about one of Ohio's largest cities. Overall, Cleveland is known as offering its residents the amenities of a big city but with the feel of a small town. The people here are also very welcoming to outsiders, willing to extend you our Midwestern hospitality. We are confident that in time, once you get to know all the fantastic things Cleveland has to offer, you will become excited to be a part of our community. So, you've just found out you are relocating to Cleveland Ohio. Like most people in your situation, you are probably going through a wide range of emotions. You are also beginning to realize how much work you have to do to prepare for your big move. This guide was designed to help alleviate the stress that comes with relocating and to provide some helpful tips as you start your journey. We personally relocated to Cleveland almost 18 years ago and know exactly what you are going through. We understand how stressful moving to a new city can be, especially if you don't know a lot of people, and we wanted to provide some help and friendly advice. So, take a deep breath, try to relax and let us help you put together a successful game plan so you can have a smooth transition when relocating to your new home, Cleveland, Ohio. First things first, since you are moving to Cleveland, you should learn a little bit about one of Ohio's largest cities. Overall, Cleveland is known as offering its residents the amenities of a big city but with the feel of a small town. The people here are also very welcoming to outsiders, willing to extend you our Midwestern hospitality. We are confident that in time, once you get to know all the fantastic things Cleveland has to offer, you will become excited to be a part of our community. 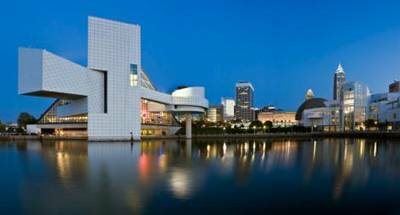 Cleveland has a rich history and has been named an All-America City on several occasions over the past twenty years. 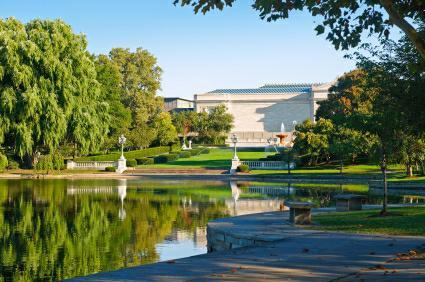 It also boasts many historic landmarks and cultural institutions such as Terminal Tower, Cleveland Grays Armory, The West Side Market, Severance Hall, The Cleveland Museum of Art, Cleveland Botanical Garden, and the Cleveland Metropolitan Parks System (more commonly known around town as "the Metroparks") which includes the Cleveland Zoo. Cleveland is also home to 3 major sports teams and numerous minor league teams as well. 1. Community - Cleveland is a "small big city" where people can move here and quickly feel like they belong. 2. Cost of Living - Where else has so much to offer and such incredibly affordable housing! The choices are unlimited and the prices are right. 3. Culture at your fingertips - You don't have to drive far to access a myriad of excellent museums, theater, or our world class symphony. 4. Fine Dining - Iron Chef Michael Symon's amazing restaurants are only the beginning. We've discovered great places to eat in every neighborhood, both East and West sides. 5. People - Everyone always says that people in the Midwest are nice and friendly and that's especially true here in Cleveland. You will be welcomed with open arms. 6. Schools - The Northeast Ohio area has some of the top rated schools not only in the state, but the country. 7. Shopping - The Cleveland area has some of the best shopping in the state including stores such as Saks Fifth Avenue, Nordstrom, and Dillards, and malls such as Beachwood Place and Legacy Village on the East side and Crocker Park on the West side. 8. Sports - It's never a long drive and so many choices for professional teams like the Cavs, Indians,and Browns. Cleveland offers a lot of minor league teams as well. 9. Traffic - Actually the lack of it. No other city we know offers so many amenities without the hassles of big city traffic. 10. Weather - The weather in Cleveland is actually a plus to us. We get 4 real seasons: the spring and summer are incredibly nice, fall is beautiful, and winter can be fun, especially if you like outdoor activities like skiing, sledding, and skating. If you are relocating to Cleveland, keep an open mind as our city has a lot to offer and perhaps you will one day be calling yourself a proud Clevelander as well. So now that you have learned a little bit about our town, on to the task at hand, your upcoming relocation to Cleveland. A major step in the relocation process is finding a place to live in Cleveland. Do you want to live on the East side or West side? Are you going to rent or buy? What can you get for your money here in Cleveland? Cleveland has some great housing options, but you'll need someone to guide you through the process. We highly recommend hiring a real estate agent to help you find suitable housing. This person, especially if you don't have a lot of contacts in Cleveland, will be relied on for more than just housing. They will be your tour guide, friend, and in general, a valuable resource for everything, not just real estate. You may need to find specific information on schools, doctors for your children, places to board your pet, restaurants and shopping, so a good local agent will play a critical part in a successful move. When we moved here in the mid 90's, we were very fortunate and grateful to find a fantastic agent to help us with our move. She was so valuable to everything we did and we are still friends with her to this day. 1. your company, if assisting in the move, will find you an agent on your behalf. If your company is handling your move, be cautious as relocation companies don't always match relocating clients with an agent who is a great match. Sometimes a company merely assigns an agent based on seniority or production without really giving thought to specific needs of the person being relocated. Even if your company is coordinating everything for you, the choice of which real estate agent to use is still up to you. If you are on your own to find an agent, do some research and choose wisely. Getting names of agents from friends or family is helpful. You can also find some great information on line. No matter who you hire, it is important to define what you want in an agent and what you expect of their services. This way, when you can contact them, you can be sure to ask the right questions to make sure they are a good fit. At this point, you have learned a little bit about Cleveland and have either chosen a real estate agent or are in the process of doing so. Now comes Step 2, choosing where to live in Cleveland. The first thing you need to decide is if you are going to live on the East Side or West side. You see, Cleveland is a city somewhat divided into two sides of town. It is a unique phenomenon. I'm not saying it is like the Hatfields and McCoys, it is more of a friendly rivalry. The point is that people typically live and work on the same side of town, rarely venturing to the other side. Additionally, Clevelanders simply don't like to drive more than 15-20 minutes to get anywhere. So, you need to keep this in mind if you have friends or family on one side of town and choose to live on the other as you may not see them very often. That is why deciding where to live is a very important decision. The East and West sides are different yet do share some similar characteristics. For example, both have inner ring suburbs, those bordering the City of Cleveland, that have older housing, yet are fairly affordable. 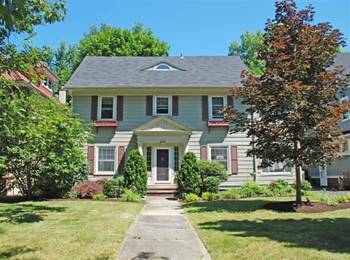 Cleveland Heights, for example, is on the east side and has a lot of homes built in the early 1900's that have tremendous charm and character. Conversely, Lakewood is located on the West side and has similar type of housing. Both areas are popular for those wanting more of a "city" type of lifestyle. The locations of both are ideal as well for those who plan to work downtown. 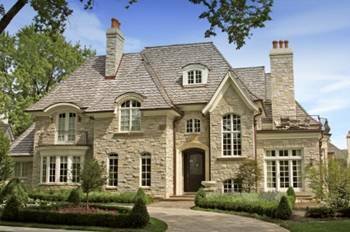 There are some high-end suburbs as well for those looking for more of a luxury life-style. For those who like the water, there are more suburbs on the West side, such as Bay Village, Rocky River, and Avon Lake that are located in close proximity to Lake Erie than on the East side. However, there are more luxury homes and estates located on the East side. People looking for newer upscale housing often choose Solon on the East side and Westlake on the West side. Both have highly ranked school systems and contain a large number of newer homes priced over $500,000. If you are buying, you will have a lot more options of where to live. Cleveland is not the best "rental" city, especially if you are looking to rent a high-end home in the suburbs. Renting is always a possibility though, just understand your options will be limited. Also, if you have children, you may want to look into the different school systems and find one that is the best fit for your family. Then, you can find housing located within that particular school district. 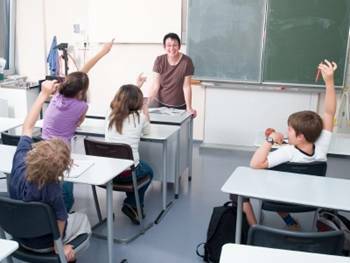 You'll be happy to know that some of the best public schools in the state can be found right here in the Cleveland area. There are also a lot of fantastic private schools in Cleveland as well, if that is your preference. Lastly, we must also mention that although Cleveland is an "East" or "West" side town, there are several suburbs that are located South of the city that may be perfect as well. Overall, there are a lot of great options of where to live in Cleveland. The most important thing is to become educated about the different areas of town so that you can be comfortable with your final decision. As mentioned earlier in this guide, your real estate agent will be a great resource to you during the entire process. At this point, you have learned a little bit about Cleveland, chosen a real estate agent, and have picked out locations of where to live. Now comes the fun part, picking out a home and making the move. We are not going to get into a lot of detail here regarding the actual home buying process, as we have a “Complete Guide To Buying A Home In Cleveland” that thoroughly covers the entire process. Our focus here is to prepare you for the move as we want you to be organized, as this helps alleviate stress levels during such a big transition. We have included some special sections such as helping children cope with the move, and also provided a list of helpful contacts as well. One important thing to remember, especially if your move is related to your job, is to keep all records and receipts regarding the move as many expenses can be tax-deductible ( consult your accountant for details ). 2. Have legal, medical, and insurance records in a secure place. 3. Get medical records for yourself, children, and pets. This includes dentists, orthodontists, optometrists and veterinarians. 4. Make travel arrangements for your pets. 5. Have all computers backed up prior to moving them. 6. Get your car serviced prior to the drive. 7. Notify your current utility companies of your move. 8. Arrange to close out any bank accounts, unless you plan to use the same bank here in Cleveland. 9. Let your current post office know about your move, so that mail can be properly forwarded. 10. Send out change of address cards to family, friends and other important contacts. Now, for the move. At this point, you should have already contacted a moving company and the date should be scheduled. It is important to note that you want to be extra careful to make sure your new home is accessible to you prior to scheduling the moving date. 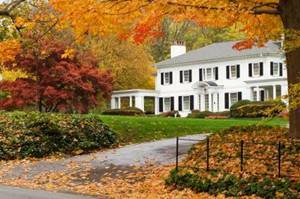 In Ohio, the closing date is not always the same as the transfer date, the day you actually get the keys and become the owner of the home. Therefore, communication with your agent and the title company are critical to avoid any last minute headaches. 1. Phone numbers of real estate agent, title company, and moving company. 2. Map of the local area, although a GPS will help as well. 4. Enough clothes, toiletries and medicine, if applicable, to last a few days, in case the movers are late. 5. Personal items that are not replaceable should be kept with you as well. It may also be wise as a back up to have the name and number of a local hotel, once again, just in case the movers are delayed. If your kids are really young, some of these items may not be very relevant. However, older children can certainly be affected by moving to a new city. Here are some tips on helping kids adapt to a move. 1. Show the children the new home prior to moving. It also helps if they can pick out their new room and even choose a new paint color or theme so they can personalize their new "space". 2. Make a scrapbook of the old home and neighborhood. 3. Throw a good-bye party. At the party have their friends sign a t-shirt and take lots of pictures. 4. Buy the kids a special house warming present, perhaps a special toy they’ve been asking for. Make them excited about the move. 5. Take your children to see their new school, and get to know the local area. 6. Meet a few kids in your new neighborhood. Invite them over to play with your children. 7. Let your children choose a new favorite restaurant or store. This will help them feel in control of their new world. 8. Encourage them to send letters about their new home to their friends. Maybe even invite an old friend to visit once you get settled in. 9. Involve your children in groups, sports, and activities like the ones they used to participate in. Staying in some sort of routine can be helpful. 10. Spend a lot of time with your children after the move. Be in tune to their feelings. Remember, moving can affect adults and children differently. Although kids are pretty resilient and adaptable, they still need a lot of attention during a major event in their lives, such as a move to a new area. Being in tune to their needs during this transition will make things much more enjoyable for everyone. Inquire personally with us - these are too valuable to share on line! We hope you find this guide to be helpful and would love to have the opportunity to share more information with you in person. Congratulations again on your upcoming move to Cleveland. With a little help and a positive attitude, this could be the best thing that ever happened to you. Good Luck!